5 Bridal Wear Shops in South Ex, Delhi That You Must Visit If You’re Lehenga Shopping! Well, their creativity also lies in their stunning stunning bridal wear designs. They focus on the handwork and crafts that are a reflection of our rich heritage and are fast becoming obsolete. Their designs bring forth the rare artistry to create exclusive and bespoke couture. The business is of love and craft by Yash Raj Films and KBSH pvt. ltd – one of Delhi’s largest heritage fashion brands. Diva’ni is possibly the world’s first clothing brand scripted by cinema and directed by fashion – a brand of beauty that combines cinema, fashion, art, heritage, and freedom. Aza houses an extensive range of bridal, couture and prêt collections for men and women, as well as accessories, footwear, and jewellery. Their boutiques carry the latest creations by designers like Manish Malhotra, Sabyasachi, Anamika Khanna, Anju Modi, Neeta Lulla and more. They also house many designer accessories, including traditional and contemporary jewellery, clutches, shoes, handbags and bridal trunks. The Aza bridal range features exclusive, coveted designs that personify elegance and grace. They provide personalized bridal trousseau shopping and a styling appointment with a trained Aza fashion consultant. Meena Bazaar is a Delhi-based Indian ethnic wear retail brand that was established in 1970 by Mr. Suresh Manglani and Mr. Vishnu Manglani. Originally starting out with a small store selling printed sarees, it has evolved into a leading retail name today recognized by Indians globally. They are known for our exclusive and exquisite range of bridal lehengas, sarees, suits, kurtis, gowns, anarkalis and other wedding wear. They offer finely crafted and designed Indian ethnic wear at the best quality and prices. Another bridal wear store in South Ex, Frontier Raas has some of the most gorgeous collections of lehengas, gowns and sarees that are a wonderful blend of Indian heritage as well as western elements. Each ensemble is created with intricate detailing, expert craftsmanship and the utmost care. Wish to portray a unique style that is blended well with ancient traditions? You must head here as they bring to you an extensive range of Indian wear. It has over two decades of experience and has been the loyal support for many beautiful brides! 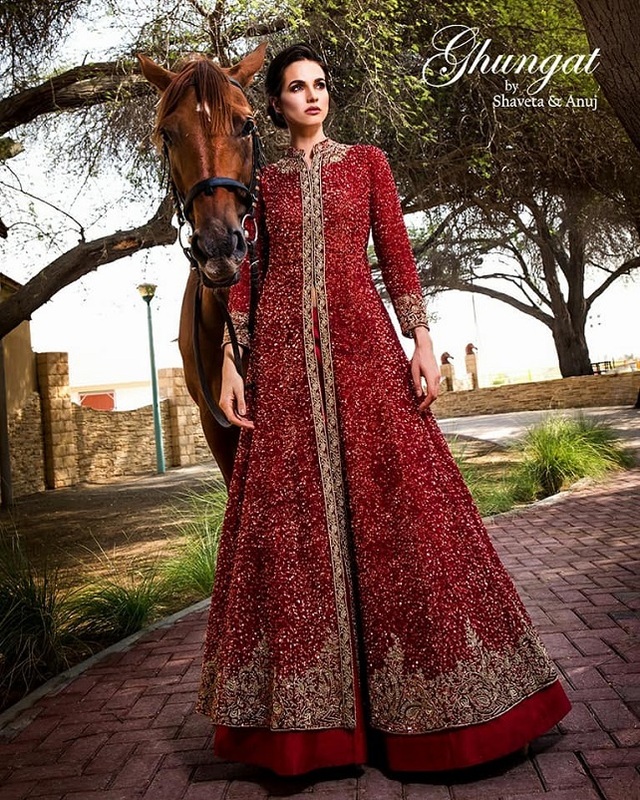 With a great sense of modernity as well as ethnicity, they design attires that are the most cherished ones! *All images belong to their respective vendors.